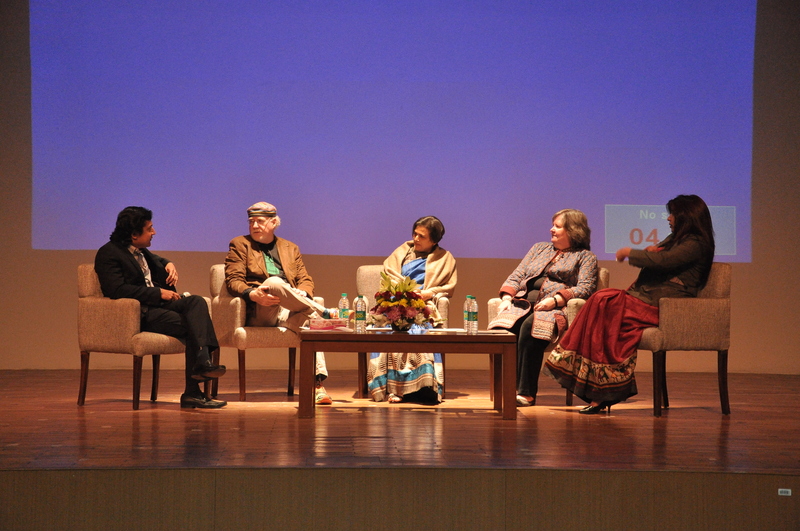 A dialogue was held at The Heritage School, Gurgaon to Re-imagine Teacher Education. A group of experts, principals, teachers, practitioners and academicians engaged in an intense discussion on how we should prepare a new teacher for a new India. We had an immensely rich and deep dialogue on Re-imagining Teacher education. A group of experts, practitioners and academicians discussed how we should prepare effective teachers to lead our country into the future. The experience in the room was diverse, varied and from different contexts. We were not sure how to best utilize this resource and decided that the group energy should guide the direction of the dialogue. We are glad we let that happen. Though we had disagreements, we shared openly; we questioned and debated, yet we listened and evolved. It was wonderful to see so many individuals under one roof, who cared about education for our children. 1. What is worth learning for teachers? If student-teachers had to learn one thing, what would that be? 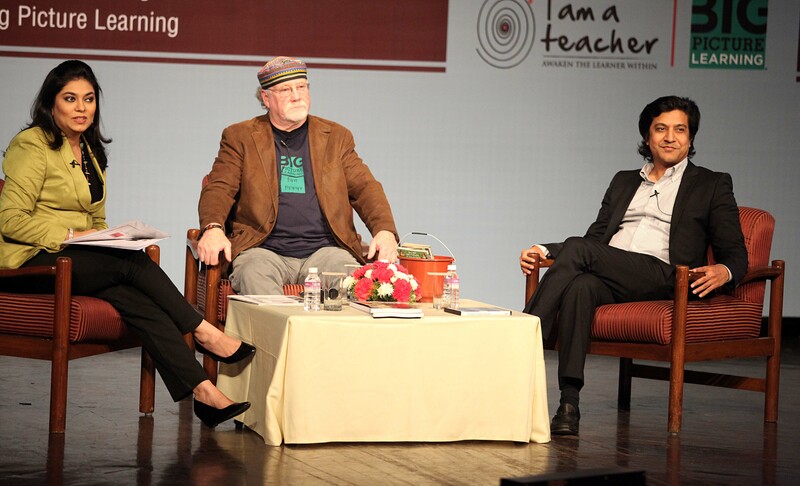 There was a healthy discussion about who should teach the teachers – practitioners versus academicians. The group struggled with the question of what should be the right balance between theory and practice. We also struggled with what is theory, what part of it is essential and what can be consciously ignored. One perspective was that theory is important not just for application, but it provides us a lens to view the world. There is a need to help teachers conceptualize through rich learning experiences. It was reinforced that once we are clear about the ‘whys’ the ‘hows’ would emerge. Another learning was that we cannot look at dichotomies; ‘this or that’. We have to expand and think of ‘this and that.’ On the one hand, the group acknowledged that context is extremely important and we cannot look at education without looking at the socio-cultural context of the learner. At the same time, there was the question of how an effective teacher should be able to deal with all contexts. Should we provide experiences in varied contexts or should we help teachers go deep in one context and that would help them to deal with diversity? We had Christine Brennan Davis, New Site Development Director, from Urban Teacher Residency United (UTRU) joining us virtually from USA. UTRU is a not for profit organisation in the US that has more than 20 residencies as its member partners. It enables exchanges of best practices and innovations across its network and supports setting up of new residencies. Christine talked about the pre-service residency model of teacher preparation. The residency model brings theory and practice together to prepare an effective teacher who cares about children and is focused on students learning. Teacher Residents spend an academic year in classrooms, teaching alongside a mentor/collaborating teacher. Besides classroom practice, they have various courses through the year that earn them their teaching certification. There are clinical teacher educators who work closely with the residents and collaborating teachers; mentoring them and developing their skills in a way that keeps students at the center of their work. There are some key differences between the residency model and the present B.Ed. model in India. The present model has limited feedback built into the student teachers’ learning process. Classes are usually not linked to the practical issues in the classroom and there is a limited focus on ‘how’. There is lesser room for team work, lecture is the dominant pedagogy and end year exams are the major from of assessment. Whereas, intensive one-on-one mentoring and peer feedback is built into the residency model. Practice is closely examined and there is a clear focus on ‘how’. How to create a positive learning environment, how to foster inquiry, how to differentiate, how to make an effective lesson plan, how to make learning relevant – are some of the questions addressed in the program. Demonstrative pedagogy, collaborative learning and comprehensive assessment are some of the other features of this model. While we have outlined some of the key advantages in a more practice-based model, it is also important to recognize the significance of sound theory. While the residency model has had its successes in the US context, there are questions about how much and how we need to adapt it. With a four year Under-graduate program and greater width in the curriculum, the average US graduate may already have covered theory, that we for instance, cannot ignore while designing our program. We are more convinced about the need of a dialogue and involving the larger community in this important discussion. Several times we say the same things, using different words. This makes it difficult for us to understand each other and determine the direction of work. There is a need to evolve a common discourse that values diversity and different perspectives. 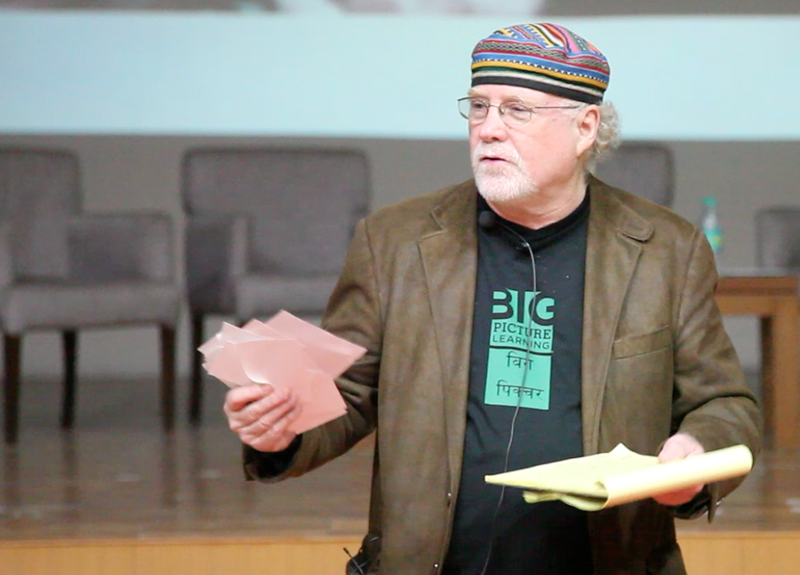 “One of the most daring educators in the world, Dr. Dennis Littky, co-founder of the Big Picture Learning schools, USA helped us Re-imagine school education. 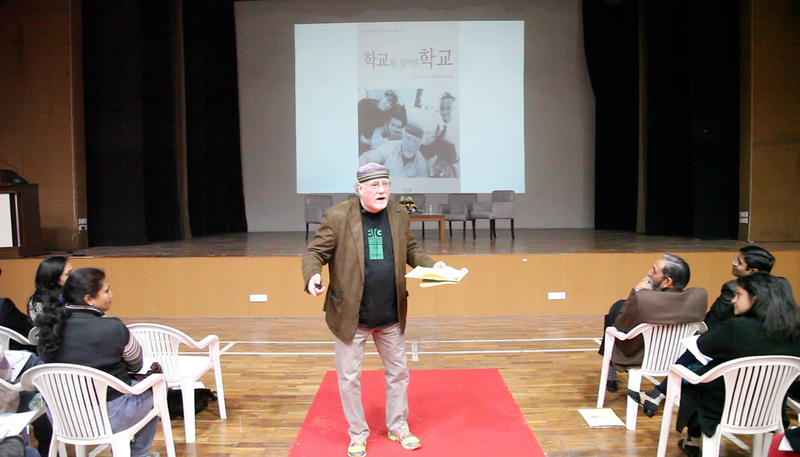 He shared his journey of being a teacher that was full of courage, challenges and successes.” – Hosted by The Heritage School in collaboration with ‘I am a Teacher’.